Coming to New Zealand to study wasn’t a difficult decision, says Dr Yahua Xu who came to AUT as an international student from China to complete a PhD in finance. “I have an academic background in economics and mathematical finance, and decided to pursue doctoral study because I was interested in conducting in-depth research about financial markets, especially derivative markets. For her PhD research, Yahua investigated option markets, supervised by AUT’s Dr José Da Fonseca. “My thesis was a comprehensive study on option markets, with a focus on Leveraged Exchange Traded Fund (LETF) options, volatility options and crude oil options. I chose this topic because I had been interested in option markets since taking some papers on this subject during my master’s degree. 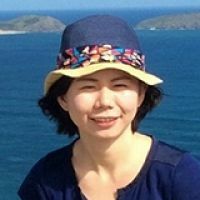 Since completing her studies in 2017, Yahua has returned to China to work as a lecturer in the Finance Department of Central South University. AUT offers a great infrastructure for research and study, says Yahua. “The finance department in AUT is very productive when it comes to publications, and it hosts a number of international conferences, which is a good chance to communicate with international scholars. Living far away from home had its challenges, she admits.